In my travels around China I got to see the A-list cultural highlights such as the Forbidden City in Beijing, the Great Wall of China, the Terracotta Warriors, as well as seeing the wonderful Giant Pandas. What I found more surprising about China is the amount of unheralded goodness there is in this country. 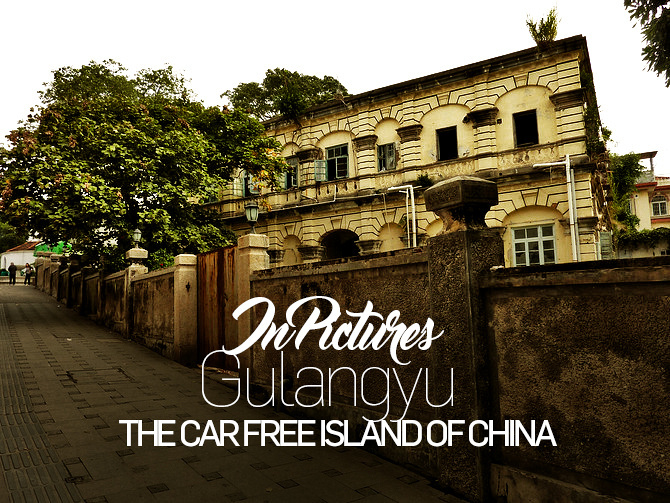 One such place is Gulangyu, which I had not known about until I arrived in China. Gulangyu is an island off the coast of Xiamen (which is also an island) in Fujian province on the southeast coast of China. Gulangyu became a treaty port after the first opium war, and foreign consulates and mansions were soon established here. 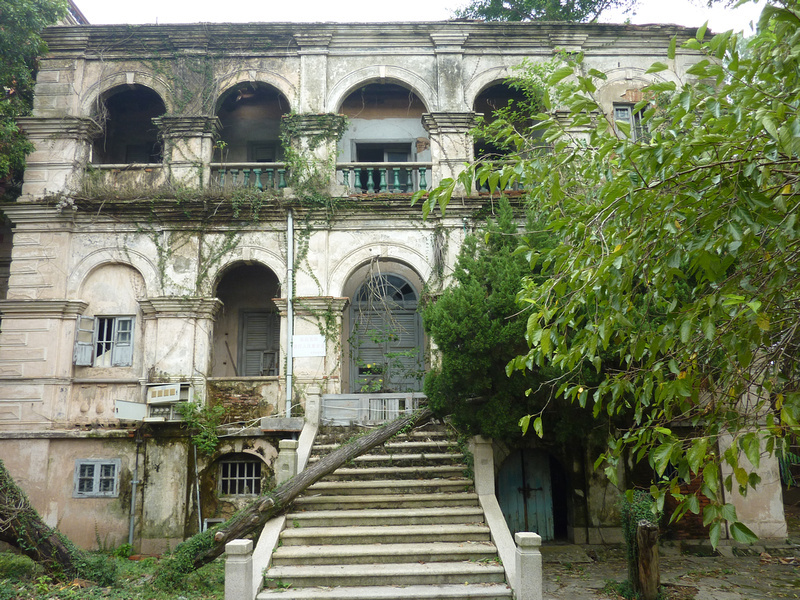 Many of the mansions on the island are now run-down and covered in vegetation. 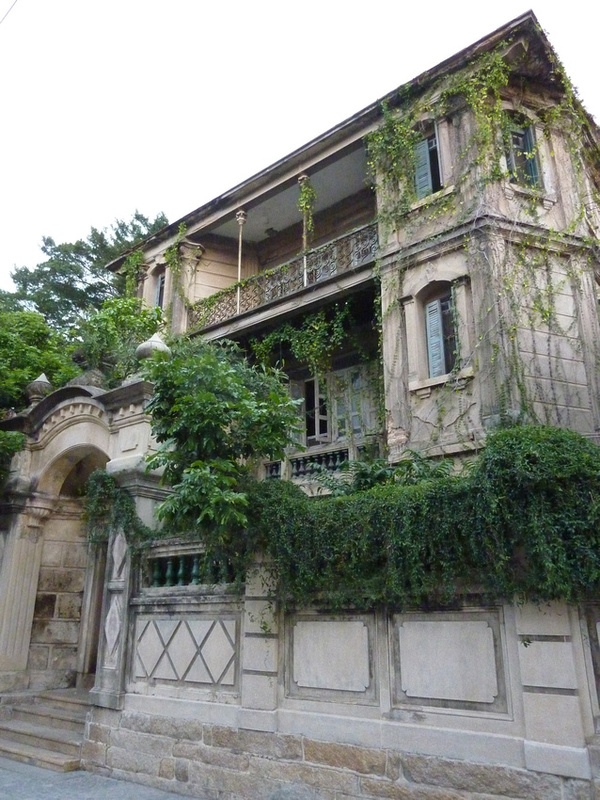 Seeing so many old buildings in one place is something of a rarity in China. What makes this island even more special is that there are no cars or motorbikes. You won’t even see bicycles here. It’s a real walkers paradise (no wonder I like it so much). 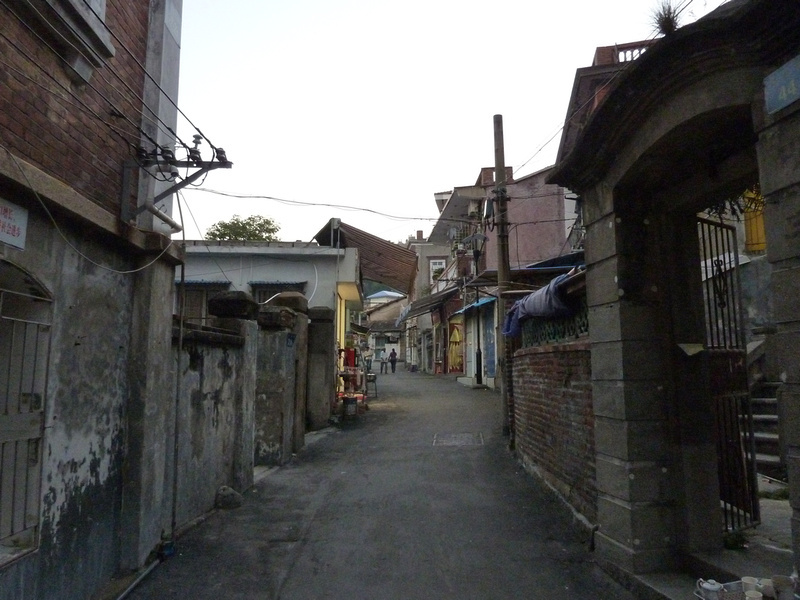 The interior of the island is covered in laneways that go in every direction. I was delightfully lost many times over as I kept finding myself back at the same lane I thought I was walking away from. The mansions on the island are in a varied state of repair. Some are done up to boutique hotel standards while many are just lived in everyday houses. 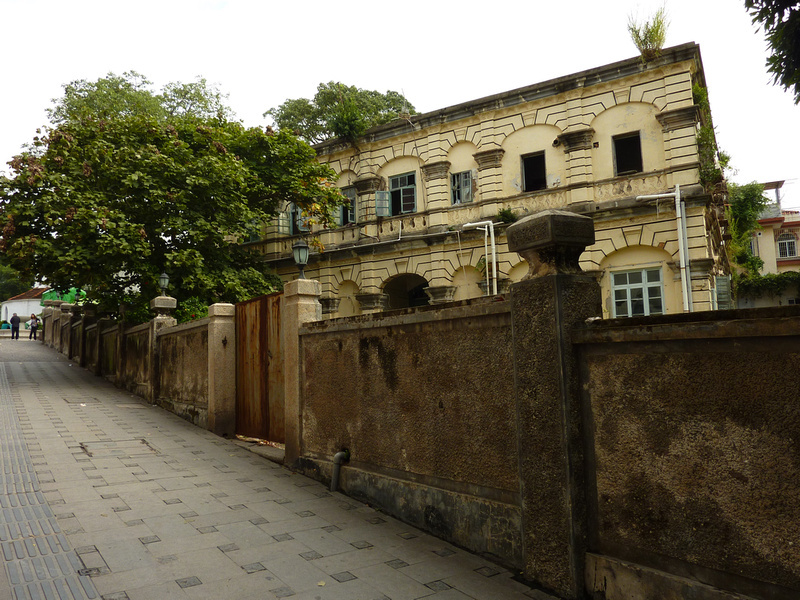 Gulangyu is also known as Piano Island. It has a piano and organ museum as well as being home to some famous pianists of China. 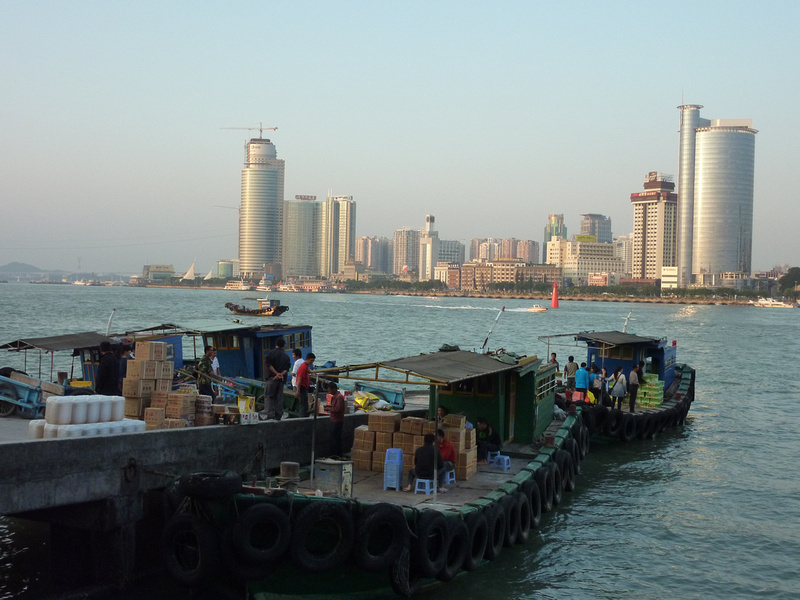 There are no bridges or tunnels to Gulangyu, so supplies are brought by boat from Xiamen. From the port, men with carts carry supplies around the island. As you would expect being an island, seafood restaurants are everywhere. For some reason orange juice is big here as well. 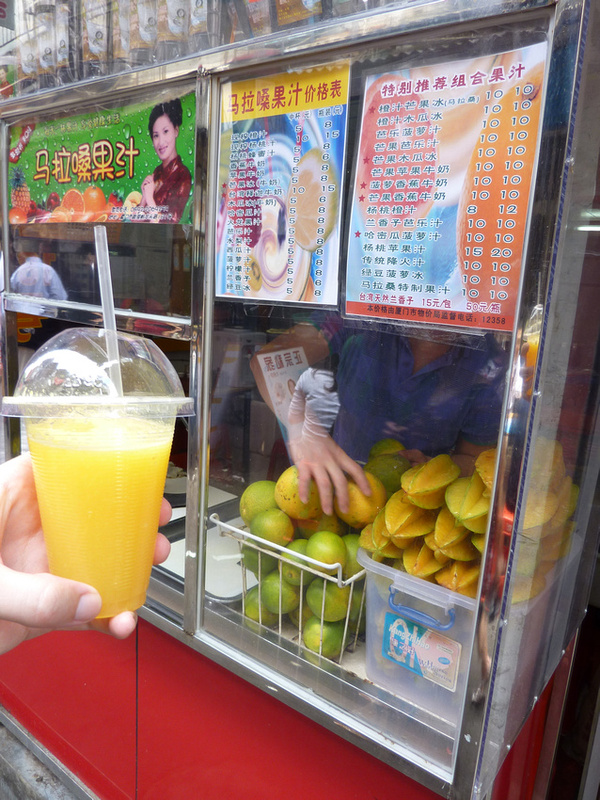 This orange juice was squeezed before my eyes for 5RMB (75c USD). Walking the circumference of the island takes about an hour and a half. When you first arrive the crowds outside the ferry pier are frightening, but as you walk away the crowd disperses you will soon find plenty of space again. 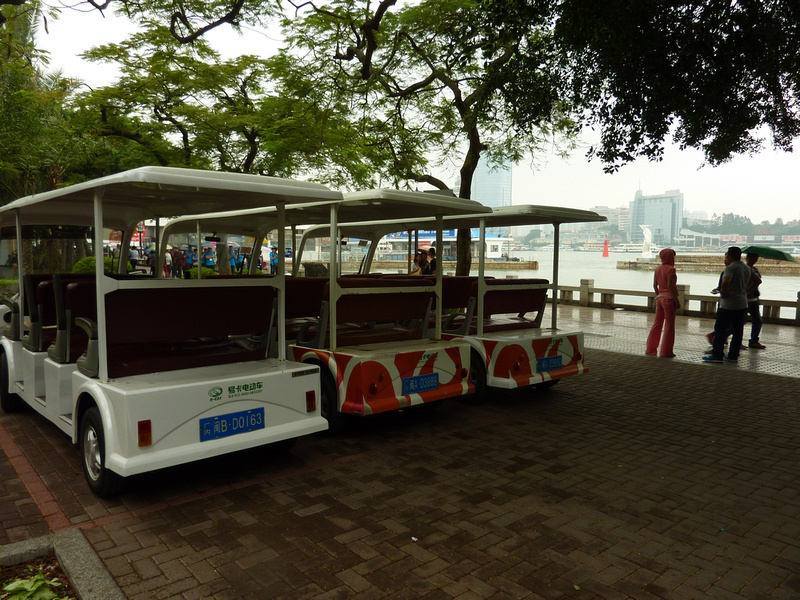 So there are no cars here, but there was controversy when electric tourist trolleys were introduced to the island. If we keep calling them electric trolleys, we can technically still say there are no cars on the island. I ended up spending a week here, just chilling out in one of the many cafes on the island (another rarity in China – lots of cafes here that serve real coffee) and discovering lonely laneways. It left me fully recharged to face the crowds and traffic of the mainland once again. 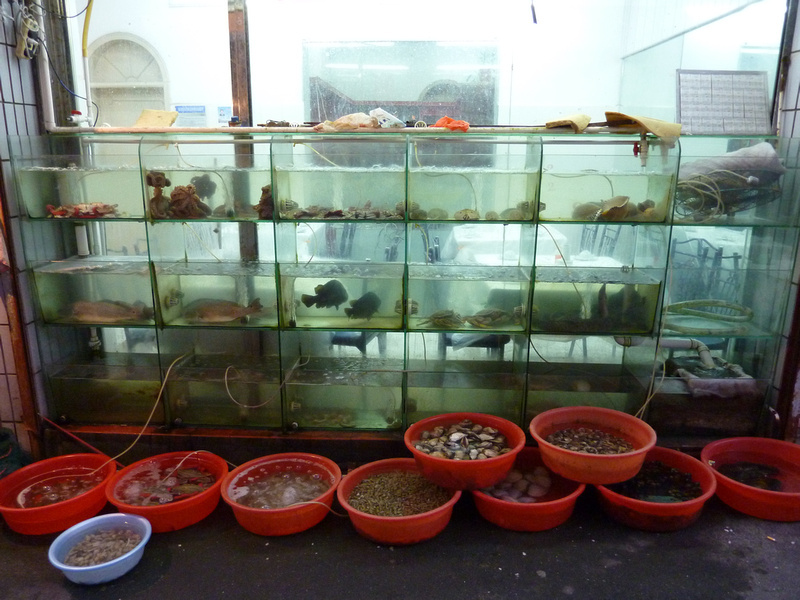 See more photos in the Gulangyu Island photo gallery. 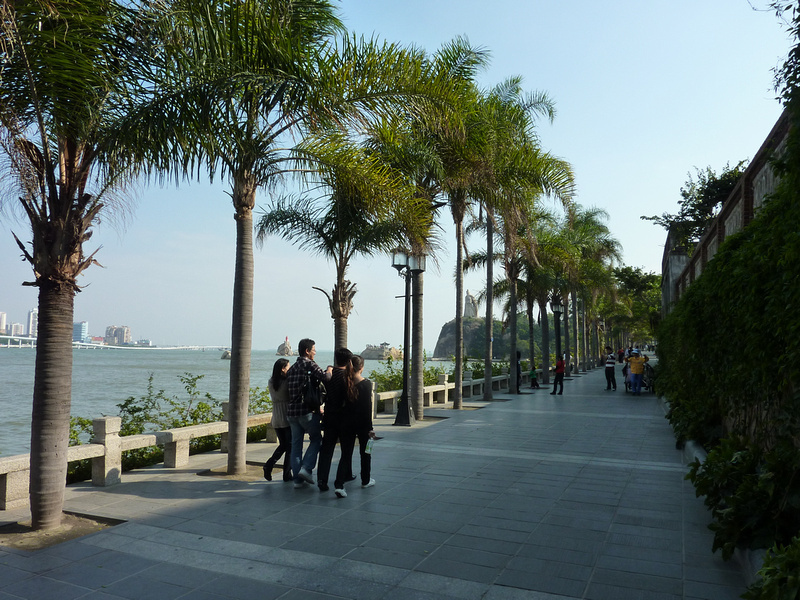 Book Gulangyu hotels, or if you are doing a day trip search for Xiamen hotels. 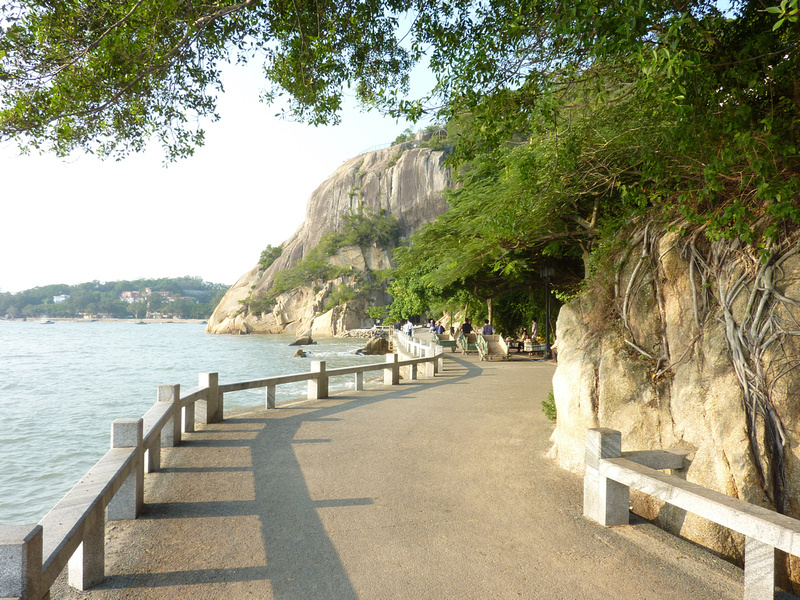 Flights to Xiamen: Compare the cheapest flights with Skyscanner. World Nomads covers your health and travel belongings. Find out more about travel insurance. Gulangyu Guide Books: Research Gulangyu and China before you go. WOW! This place looks amazing and being an absolute lover of exploring by walking, like you, it sounds like paradise… Being here in Jakarta it is difficult to imagine a place with no transport.. thanks so much for sharing this place as I had never heard of it before. Happy Travels to you! If only there were more places in the world like this! I have been to Guylangyu a couple of times and it is a very special place. Certainly one of my favourite spots in China. You have great photos and have captured the feeling of the island. I love the gardens and the super cool ‘walking trees’. I think they are Banyon trees (like seen in Hawaii) and they add to the islands unique look. Ironically I did a blog post myslef about Piano Island approx 10 days ago. Well done, I will check out the rest of your blog. Your pictures are amazing. 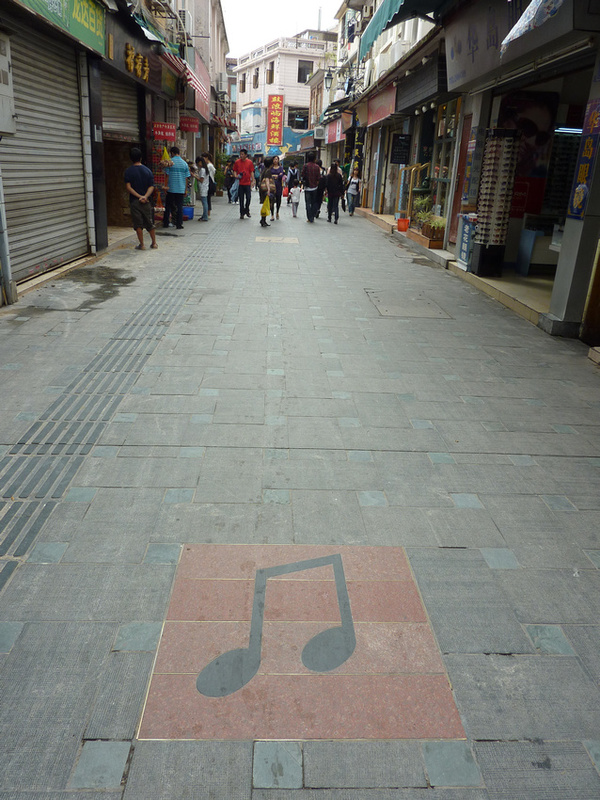 I think you forget about these kinds of more rural areas when you think of China. I normally think crowded, busy, city but your pictures are amazing. I’d love to go see a more peaceful side of China. @Gray – I have been to a couple of car free islands, but they were beach places, not a working town. More like this would be great. @Rob – thanks for that, I’ll check out your post as well. @Mich – Thanks, I forgot to mention how to get there. 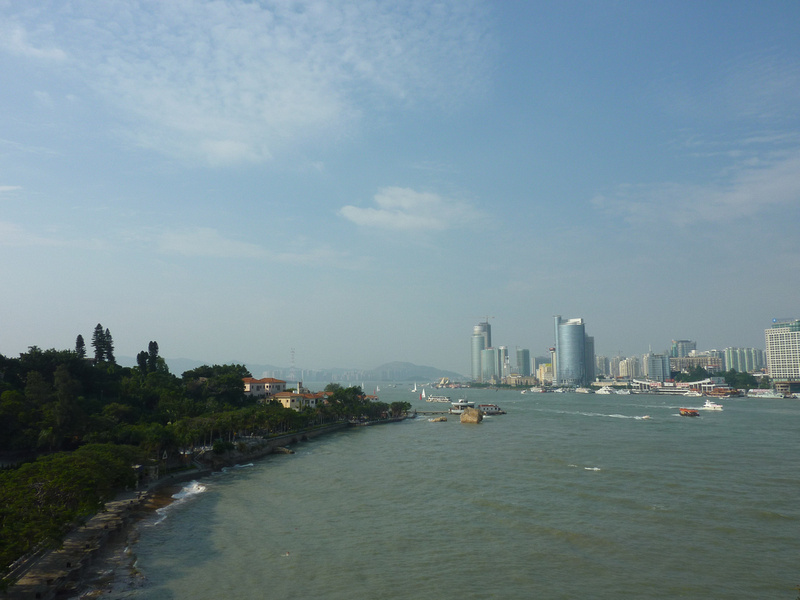 It is a 5 minute ferry ride from Xiamen. Basicially just make your way to Xiamen, which there are plenty of flights to from all over China and major citiies in Asia. Fantastic photographs, China is a travelers paradise. @Nelson – It certainly is. Does anyone know how long the ban on wheeled vehicles has been in place? I know that in the 30s, my husband’s grandmother, who had bound feet, had to resort to sedan chairs to get around. I must say my experience in China was not as peaceful as this. I wish I had known about this place!